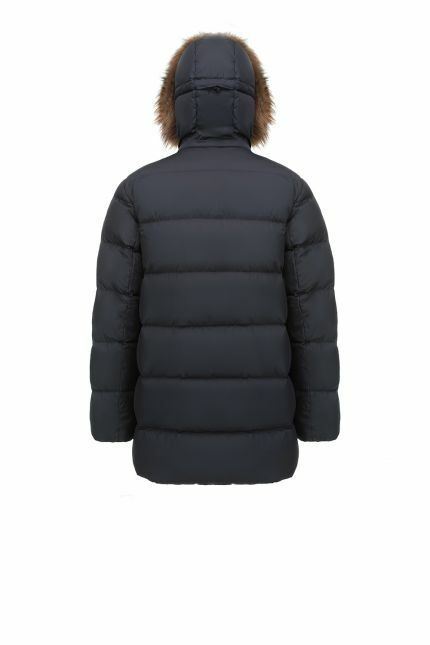 Hetregó Andre black down jacket features lots of pockets to store your personal items: you can choose to keep your belongings on chest and zipped side pockets or if you want to be safer, use the interior security one. Shaped in water repellent and windproof fabric, the style is padded in goose down and it is the perfect coat to wear during winter days. 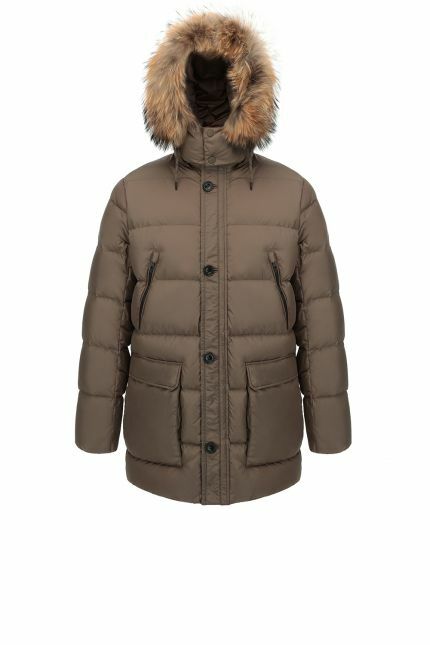 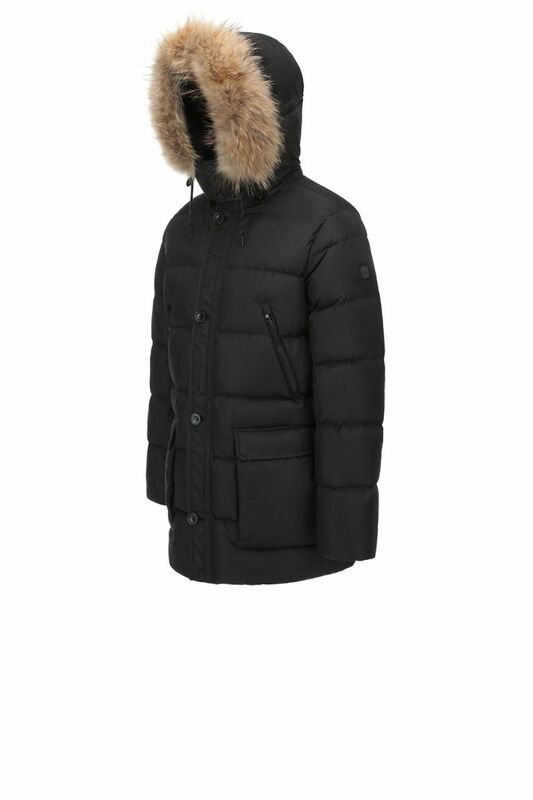 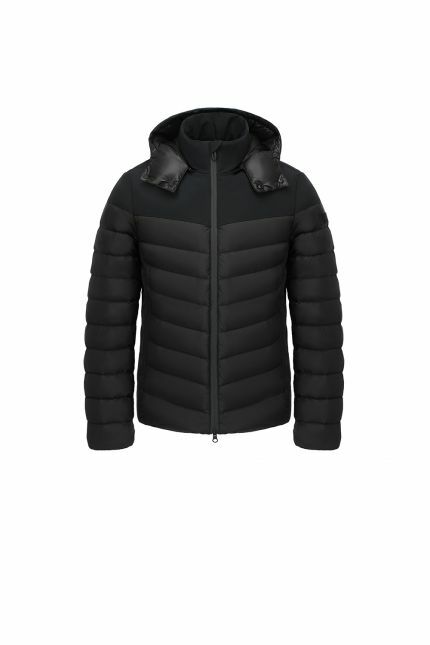 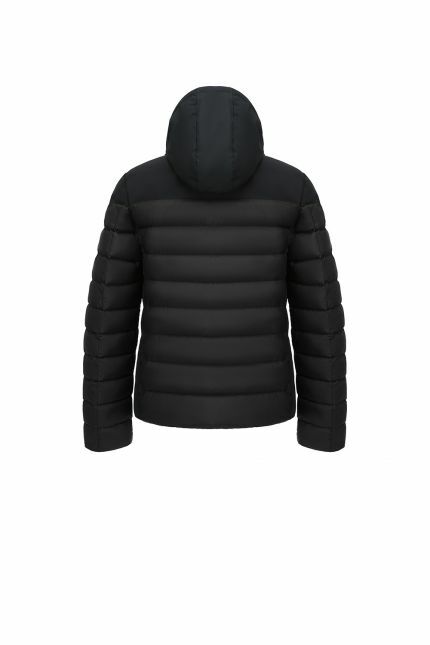 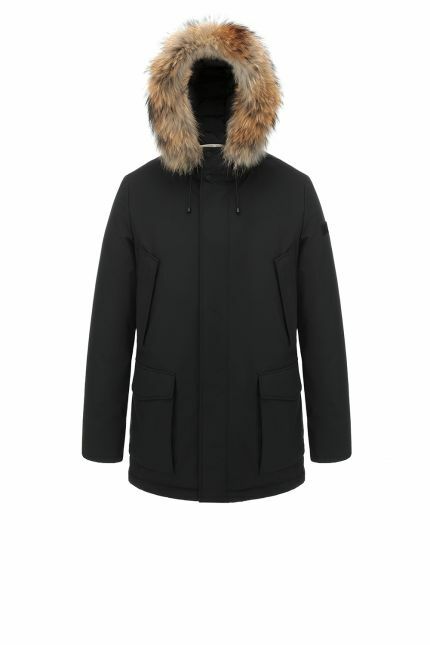 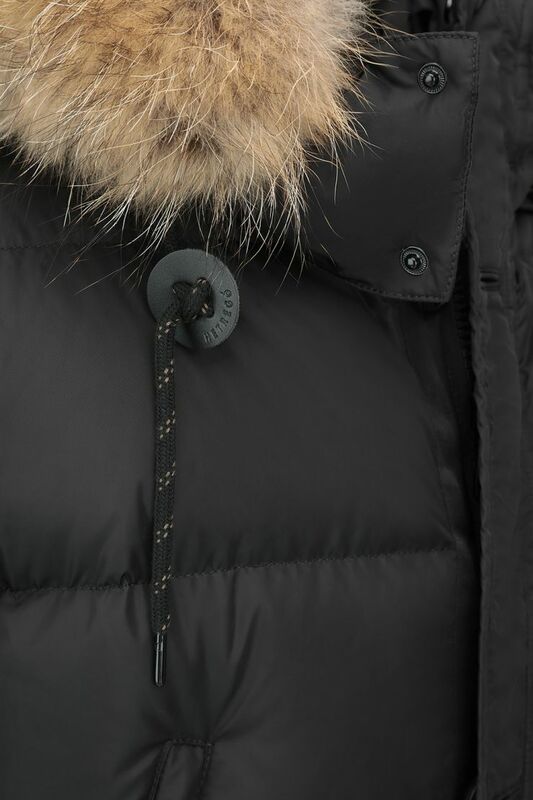 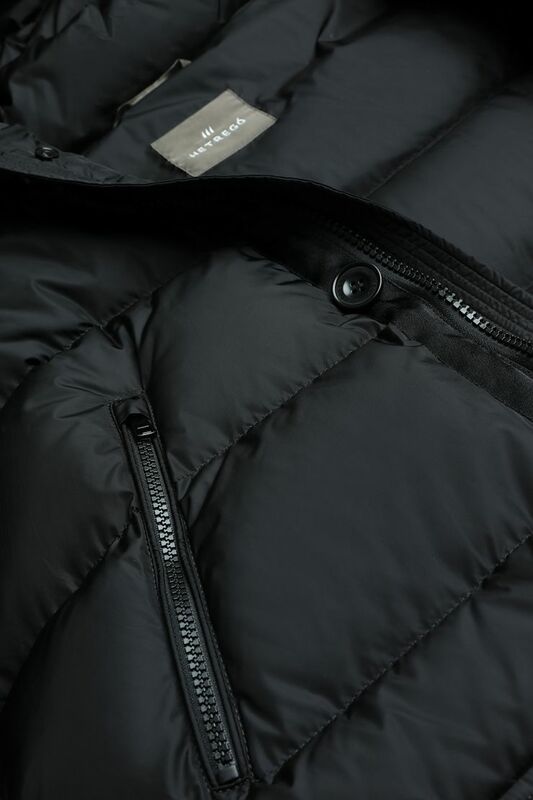 Adapt the coat to your outfit thanks to the detachable hood and the possibility of removing the raccoon trim hood. A timeless coat with front two way zip closure covered by front buttons that combines a classic style with refined details.